Team Carolina Plantations: L to Right - First Row: Doug Terhune/Owner, Patty McGrath, Steve Prokop, Nolan Payne. Looking for a second home or place to retire takes more than a day or two. Sometimes it can take months or years so, wouldn't it be nice to have someone on the ground here that becomes your friend and trusted confidant? The team at Carolina Plantations Real Estate have all relocated here from chillier climates, so we understand your concerns for finding that special place where you'll quickly feel right at home. Your search involves a lot more than finding a nice home and no other real estate firm in Southeastern North Carolina is more prepared to assist you on your journey. We are not your typical general real estate brokerage firm where we open up doors till you cry Uncle. Our goal is to provide you with all the pertinent information you need to make a well educated decision. Nobody does what we do. 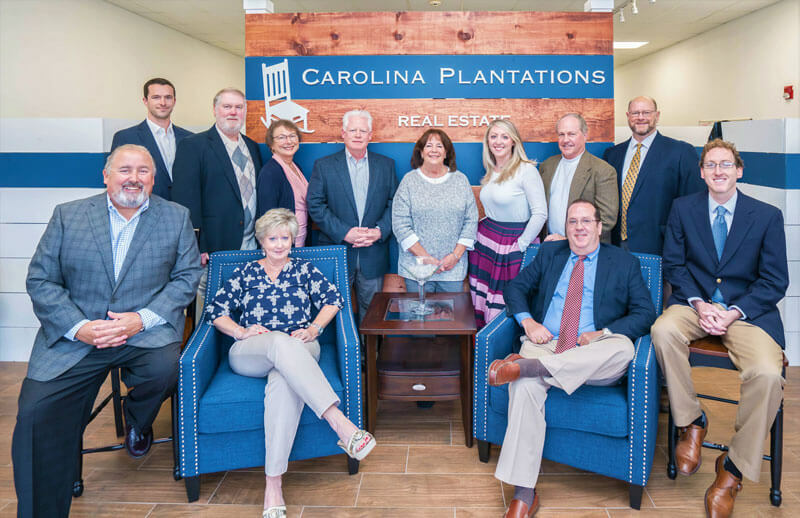 In 2006, Carolina Plantations Real Estate opened its doors and has since helped thousands of clients who have been considering calling this area home. Doug Terhune, owner and BIC, began his career in real estate in Brunswick County by working for two of the largest developers in the area. His foresight in creating the #1 Real Estate website in Southeastern, NC, leadership skills and purchasing Plan View Design, the #1 Custom Home design firm in Brunswick County, has propelled Carolina Plantations to be consistently ranked amongst the Top 20 real estate firms along the coast. The union of Carolina Plantations Real Estate and Plan View Design has been significant for many clients of both firms. PVD allows our Brokers to plot homes on homesites our clients might be considering to purchase prior to writing up offers. And if the homesite is the right one, we can design your Dream Home that matches your exact requirements, no matter the size. Nancy Boston is originally from NY and has nearly 25 years experience in Real Estate. She and her husband Dr. Jim Boston moved here nearly 8 years ago and Nancy has become an expert in finding solutions for her clients. Steve Prokop – Steve joined Carolina Plantations in 2018 after working at Hampton Lakes in Bluffton, SC, where he was a Logan Homes representative. Prior to that, Steve was the Logan Homes on-site Sales Manager at Helmsport, a marina community on the ICW in Wilmington. Steve brings two decades of sales, building and development experience with him and our team is honored to have him onboard! Christopher Columbus Creekmore spent well over a decade working for developers in East Tennessee and Western, NC before rejoining his family and Carolina Plantations here at the beach. Chris's gentle demeanor and wealth of knowledge have made him a true rising star. Patty McGrath enjoyed a lucrative career working in corporate back home in NY State and is now thoroughly enjoying the world of real estate. She and her husband make Brunswick Plantation their home. Nolan Payne originally joined Carolina Plantations in 2010 and as an assistant, learned all about the many various Plantations/Communities that we promote. Nolan rejoined Carolina Plantations in 2013 as a Broker and has tremendous knowledge of our area yet, adds in a professional southern flair! Court Terhune is our dedicated Director of Operations and is responsible for data base management, telemarketing efforts and the building & grounds. No company can be successful without someone like Court. Haley Wilson is a Certified Professional Building Designer (CPBD) and is the Vice President of Plan View Design. Haley is the only designer in SE NC that designs homes in 3D - and that allows our clients to see their entire home, both inside and outside, in full 3D color prior to groundbreaking. Her homes have won more awards in Brunswick County than any other designer or architectural firm. Seth Barbee began his career in Agronomy on Bald Head Island and yet attended night school to get a NC real estate license. 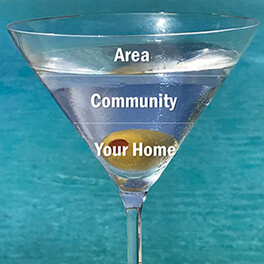 Seth loves the real estate industry and showing his clients all the different areas and communities that Wilmington/Brunswick County has to offer. However, please beware as Seth`s youthful attitude and personality is contagious! Patricia Lods has over 40 years of Real Estate and Real Estate administrative experience and is the anchor of Carolina Plantations. Patricia is responsible for data base management, lead generation, closings, sales reports, I.T. and much more. Melissa Borrelli Klein is a long time resident of Brunswick County and one of the most professional and friendly Brokers you could ever meet. Her strengths are her vast knowledge of the area and her determination to leave no stone unturned in your search for the right place to retire to! Mike Smith joined the team at Carolina Plantations in 2017 after 12 years working for Ocean Ridge Plantation. Mike has a very strong knowledge of the building industry as well as being an expert on the many communities from Calabash to Southport to Leland. Originally from Upstate NY, Mike and his wife and daughter reside in Ocean Isle Beach. John OConnor began his real estate career in 2006 in Southport and was a resident of St James Plantation for 12 years prior to joining Carolina Plantations Real Estate. Originally from Massachusetts, John had a lengthy career in Advertising, which found him living in Los Angeles while traveling the globe. John now resides in the Leland/Wilmington area and is well versed on all communities in Brunswick County. 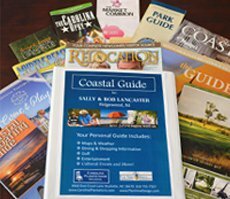 The team at Carolina Plantations Real Estate and Plan View Design is unparalleled in their commitment to assisting great folks like you, so if the warm, soft sandy beaches of Coastal North Carolina and gently undulating greens are calling your name, call us so we can begin your journey today.